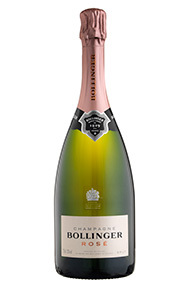 A recent addition to Bollinger's range, which delivers their trademark fullness with the addition of luscious berry notes. Pairs well with Crayfish, lobster, salmon, Japanese cuisine or not-so-spicy Asian cuisine as well as deserts, particularly fruit based deserts. Colour: Bronze tones combine with intense red. Nose: Hints of red currant, cherry and wild strawberry along with a spicy touch, not too dissimilar to the Bollinger Special Cuvee. Palate: Good structure, length and vivacity. Finish: Velvety mouse and lingering flavours of wild berries.